A series of papers written by or about people working in different areas of the IT industry recalling their past experiences and thoughts on others who should not be forgotten. The 5th October 2016 saw a glittering array of leaders in ICT from the past 40 years gathered together to celebrate their achievements and raise funds for the Prince’s Trust. Speeches were made by Peter Rigby, Steve Garnett, Stephen Kelly, Robin Saxby & Geoff Unwin on different periods in computing and by Duane Jackson on the important work done by the Prince’s Trust. You can watch all the evening’s proceedings by following the link below. Joan Smith started work for A V Roe, or Avro’s as it was known, in the 1950’s and has written about her time there and the introduction of its first computer, a Ferranti Mark 1. The Real Time club was launched by a group of computer entrepreneurs in June 1967 to press the government to improve the telecommunications infrastructure to enable us to connect terminals to our mainframe computers, on-line in REAL TIME. They have regularly dined together ever since to debate the leading edge of computing with world leaders in science, industry and government. Len Taylor who died on 26th Sept 17 at the age of 82 is remembered by Richard Holway. Len won a scholarship to study Mathematics at Hertford College Oxford in 1954, where he graduated with first class honours. He then got an MSC with distinction from Chelsea Polytechnic, now part of King’s College London. claim to have introduced the concept of ‘Turnkey’ systems with the advent of mini computers. Logica’s work on word processing systems might not have been a commercial success – but it was ground-breaking at the time. I remember in the 1980s writing a critical report on Logica – which was going through a bad patch at the time – only to be rebuked with ‘please remember we designed the guidance systems for the Trident missiles and the software that enabled the ESA Giotto satellite to track Halley’s comet’. Unlike others who put commercial success above all else, Logica was a ‘techie’ company. Whenever I visited at that time, it seemed rather like a University campus. Logica was one of the first UK HQed company to float on the LSE in 1983 when Logica staff owned 40% of the company which at that stage was valued at £80m. 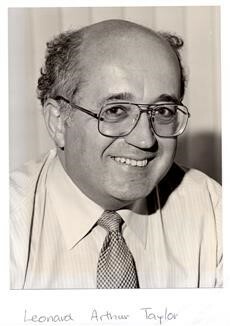 Len Taylor stepped down from day-to-day operations in 1990 but stayed with Logica until 1995. But Logica remarkably remained independent – and a leading SITS company – until 2012 when they were acquired by Canadian CGI for £1.7b. The very last of that cohort of major UK-owned SITS companies – like Hoskyns, CAP, SD-Scicon etal – to ‘fall’. Len Taylor’s legacy and contribution to the UK tech scene is both unrivalled and – if I was honest – rather unappreciated/unsung. His passing gives an opportunity, at last, to recognise the huge impact that Len had on the whole UK tech scene and, indeed, on so many lives that he touched. 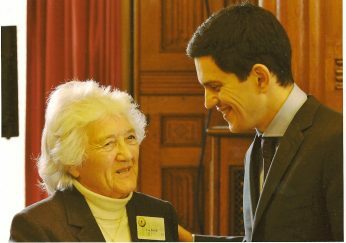 His son Neil Taylor told me “After building Logica from a pioneering idea in the 1960s to a publicly-listed global business, Dad stayed with the firm for long enough to ensure the new management was securely in place, and then he retired. He’d worked hard his whole life, and now he just wanted to relax and finally enjoy the fruits of his labour. “Len was a brilliant leader . Logica could not have existed and prospered without him. He first attracted to Logica a highly talented team.Then he inspired them and structured and organised the whole company . At a personal level I am forever grateful for the partnership , the guidance and the support that he gave me over so many years . What should be recognised is not just his leadership of Logica, but also his great contribution to the development of the whole industry in the 1970s and 1980s . 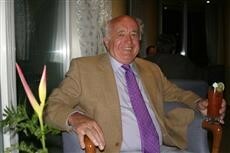 “I first met Len Taylor when I joined Logica in December 1973. In the thirteen years that followed, until I left to emulate him by striking out on my own, he was an outstanding, clever mentor, an unswerving supporter of those he believed were committed to the company and a true, generous colleague and friend. 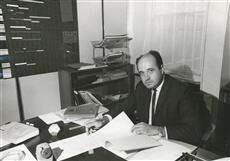 Len’s defining characteristic was his honesty in his dealings with others, whether clients or employees. From that strong platform he commanded universal respect. After we’d left Logica we continued close friends, meeting frequently to lunch and talk politics, business and our travels. Gordon Olson – Formerly MD, Logica VTS Ltd, Director Logica Ltd.
Steve Thorn – President CGI UK. Len is survived by his wife Joan and his sons Geoff and Neil. Donald Booth was a crystallographer, which involves a lot of arithmetical calculations, and he had been involved at the end of the Second World War with the crystalline structure of certain explosives. He had had groups of assistants who used mechanical calculators to solve the required equations. And he felt that the future had to involve building, specialised devices, single-purpose devices to speed up the calculations, and he then became interested in very early calculators and automated calculators. Booth had been appointed to Birkbeck by J D Bernal a very distinguished crystallographer who had been part of Churchill’s wartime panel of scientists. Towards the end of the war, Bernal wasplanning his return to Birkbeck to the chair of crystallography and he was going to have four teams, to look at different aspects of crystallography. One of those was going to be a team devoted to the automation of crystallography and Booth was appointed to head this group. 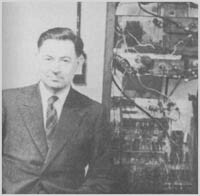 Booth spent time in 1946 & 1947 with John von Neumann and visiting other computing pioneers in the USA. 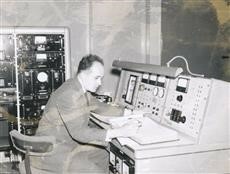 The result was that Booth moved very early from mechanical calculators to a computer, something that had a memory, and a processing unit, and the program stored in the memory and by 1949 was building a computer called SEC. Booth then produced another machine, called APE(R)C, All Purpose Electronic Computer, whose design was provided by Booth to BTM, the British Tabulating Machines Company. He developed a quite simple, but nonetheless very efficient hardware multiplier. This was the original Booth multiplier, and with a minor adjustment proposed by a colleague, the modified Booth multiplier is what is in almost every chip that is being manufactured today. The other thing he did was that he was the first man to successfully connect a rotating storage device to a computer. He attempted to build a disc but this proved too difficult so he built and was the first person to demonstrate the use of a rotating storage device connected to a computer. Despite the innovations that Booth made and the huge difference they made to the computer industry he never really benefitted financially from what he had done. This is an abstract from a fuller description of the work of Donald Booth made by Roger Johnson in his interview. To read the full interview transcript go to Roger Johnson’s profile page.